Zac Efron May Be Up For A Role In A Future Marvel Studios' Project, But What Character Could He Be Playing? Well apparently Zac Efron and Channing Tatum must've taken some kind of seminar together on how to further their career past being simply eye candy for women. Like Tatum did with 21 Jump Street, Efron recently proved himself to be quite a fitting comedic actor in the R-rated Neighbors, and now (Once again like Tatum), Efron may be taking his turn at a superhero role. So now that Fox has tapped Tatum to play Gambit in their upcoming X-Men films, Marvel Studios has apparently set their sites on Efron for an upcoming superhero role of his own. Latino-Review has revealed that Marvel is interested in signing on Efron as a character in one of their upcoming major franchises. While this may just be a rumor that will see fade away, it's worth noting that for the most part, LR has been on point with many of their casting announcements (Such as Aaron Taylor-Johnson as Quicksilver in Avengers: Age of Ultron). That being said, it's still unknown what specific role or franchise Marvel wants to have Efron join, yet the actor's star power is certainly something the studio can use wisely from a marketing stand point. Theories as to what character Efron could be playing have been all over the place, but as of yet there's been two very popular ones; Daredevil and Doctor Strange. Daredevil has already been brought to the big screen in the past (Played our new Batman Ben Affleck), but will now be getting the small screen treatment thanks to a partnership between Marvel and Netflix. The show has yet to cast it's lead of Matt Murdock, and an announcement seems eminent at this point, leading many to come to the conclusion that Efron may be the guy Marvel wants for the job. As for Doctor Strange, Kevin Fiege has practically confirmed he'll be getting a solo film in Phase 3 of the MCU, and is another important role Marvel has yet to cast. There's already been word about how Marvel's planning on making Strange the new face of the Marvel franchises, with Robert Downey Jr.'s day as Tony Stark dwindling down. While the character is much older in the comics than Efron, it makes sense that Marvel is looking for someone younger to build the MCU around. 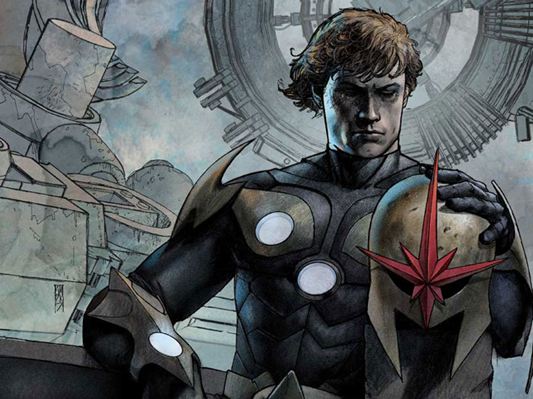 Personally though, the role Efron seems most suitable for is that of Richard Rider aka Nova. With Guardians of the Galaxy only months away, Marvel has already shown interest in expanding their cosmic universe and making a sequel to Guardians. Rider is a key character in Marvel's cosmic universe, and could make for a great addition in the sequel. Not to mention how great it'd be to see the bromance between Chris Pratt's Star Lord and Efron's Rider. 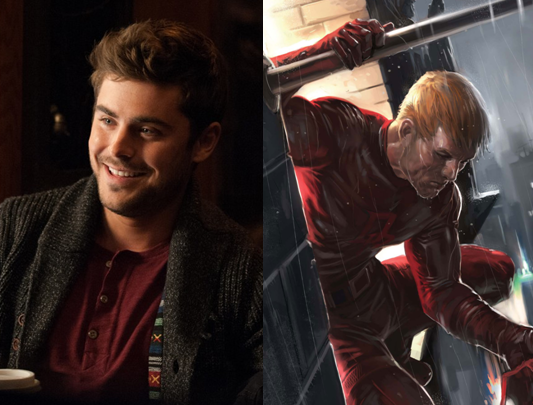 So what do you think about the possibility of Zac Efron playing a Marvel character? Is there a specific character you'd like to see him portray? Let us know below!